Silk Bedding Direct is a producer and provider of high end luxury mulberry silk-filled duvets, from cot bed size to super king size. What you receive is a fabulously comfortable Luxury Range king size top grade long-strand mulberry silk duvet that is 100% natural and hypoallergenic. Designed to wick away moisture should you become too hot yet keep you snug and warm on colder nights, Silk Bedding Direct long-strand mulberry silk duvets regulate temperature over a wider range than other duvets. We are well known as providing the best of the best silk duvets on the market today due to many small attentions to detail that our customers agree add up to make a big and noticeable difference to the finished duvet. All Silk Bedding Direct's Luxury Range duvets are filled with luxurious 100% natural top quality long-strand mulberry silk. Only the very best long-strand mulberry silk passes quality control and is selected to be used in our luxury duvets' interiors. The mulberry silk interior is hand stretched into the casing and then individually loop sewn by hand through the casing to prevent movement of the silk inside. 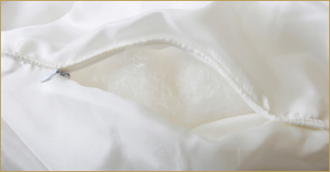 The duvet casing itself is a lusciously comfortable, yet durable and and long lasting, 300 thread count cotton sateen. Our Luxury Range duvets are not machine "pattern" sewn as this can crush the silk where sewn, resulting in an uneven warmth. Machine sewing can also damage the silk where sewn destroying some of its great natural properties. Thermal insulating properties created by the air enclosed between the fine silk threads is one of the reasons that Silk Bedding Direct's long-strand mulberry silk-filled duvets are so light and comfortable, and so effective in regulating sleeping temperature. Wonderfully lightweight they wrap around your body like no other bedding and are amazingly luxurious and comfortable. Once you have slept under a Luxury Range Silk Bedding Direct mulberry silk-filled duvet you won't want to revert to any other type of bedding. The mulberry silk is used is a 100% totally natural product and is used in its natural state - no chemicals or anything else is added or used in the production process. It is also hypo-allergenic, and unlike other types of natural bedding, dust mites, mold, fungus and other microscopic life cannot live in mulberry silk. Mulberry silk also contains several amino acids and the protein sericin. These are nourishing for your hair and skin, helping to keep your skin hydrated and younger looking for longer. The protein sericin leaves a protective barrier on skin helping prevent skin damage during your waking hours too. The mulberry silk interior also contains natural properties that promote relaxation in the central nervous system thereby aiding restful sleep. Totally ideal for bedding. All our Luxury Range silk duvets are fitted with small inspection zips to view the super soft top grade long-strand mulberry silk. The long silk strands seem to go on forever and it's almost impossible to find an end of a strand. Besides inspecting the silk visually its lovely to touch and smell too. It is these kinds of details and other refinements and care taken throughout the production process that contribute to making Silk Bedding Direct long-strand mulberry silk-filled duvets the very best on the market today. Hand-finished and crafted to perfection we work hard to provide you with the very best luxury silk-filled duvets that money can buy. Mulberry silk-filled duvets are our specialism, we've gone the extra mile to make a truly exceptional, top of its class, luxury silk duvet - we promise you won't be disappointed. All silk duvets are tested and certified by Zurich based OEKO-TEX to their prestigious Standard 100. Each duvet has the OEKO-TEX Standard 100 “Confidence in Textiles” label attached, providing you with complete peace of mind. Buy a fabulous Luxury Range king size long-strand mulberry silk-filled duvet now and receive a Free High Quality Carry and Store Case for each duvet purchased. All duvets purchased are covered by the Silk Bedding Direct "no questions asked" 14 days full money back guarantee. 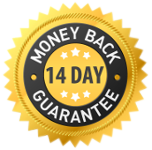 If within 14 days of receiving your duvet(s) you are not completely satisfied you may return them for a full refund - we even pay the return delivery costs, that's how confident we are that you'll love your duvet(s). Tip: By selecting “Deep Fill” thickness when adding to cart you receive Summer and Spring/Autumn duvets. 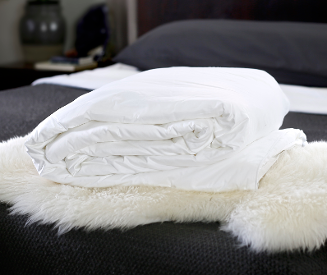 These can be used independently and also clip together to make a super snug and warm Winter duvet. Three duvet thicknesses for the price of two.